Jimmy Njiminjuma is one of the most renowned artists from the western Arnhem Land region. For many years he lived with his father, Anchor Kulunba, at Mumeka outstation. Njiminjuma said that his father and his uncle Peter Marralwanga showed him how to paint. 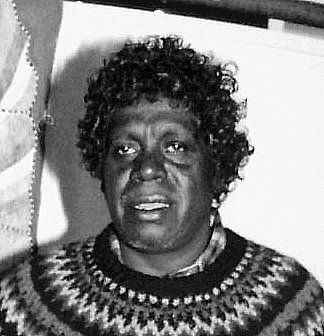 In the 1980s Njiminjuma took a strong role in teaching his younger brother John Mawurndjul the art of bark painting. Njiminjuma later established an outstation at Kurrurldul on Mimarlar Creek, a tributary of the Tomkinson River, south of Maningrida. Njiminjuma was adept at painting a number of subjects, and one of his recurring themes is the yawkyawk. These figures are understood to be a kind of female water sprite, and the Kuninjku often paint them with the forked tail of a fish and long flowing hair likened to the trailing waterweed of freshwater streams. In Yawkyawk , 2000, Njiminjuma depicted the form of the spirit being, embedded in the sacred landscape of Milmingkan, in his clan lands. The rarrk (crosshatched) designs at the left of the painting represent the banks of the waterhole, and the fork-tailed figure is shown outlined against a field of rarrk that represents the site. Part of the creativity in Njiminjuma’s painting is evident in his ability to construct complex figures that merge with the geometric background designs. These designs have their basis in the body paintings of the Mardayin ceremony, in which the participants are marked with images of the landscape that is their birth heritage. 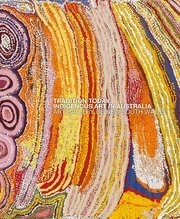 In bark paintings, the incorpora-tion of geometric designs and figurative elements reveals Kuninjku beliefs in how certain landscape forms were moulded by the creative actions of ancestral beings. The ancestral beings entered the earth at these special places and exist there still as an animating life force.